Easy Peasy Cabbage and Rice Casserole with Chicken Meatballs is a better for you spin on a classic. 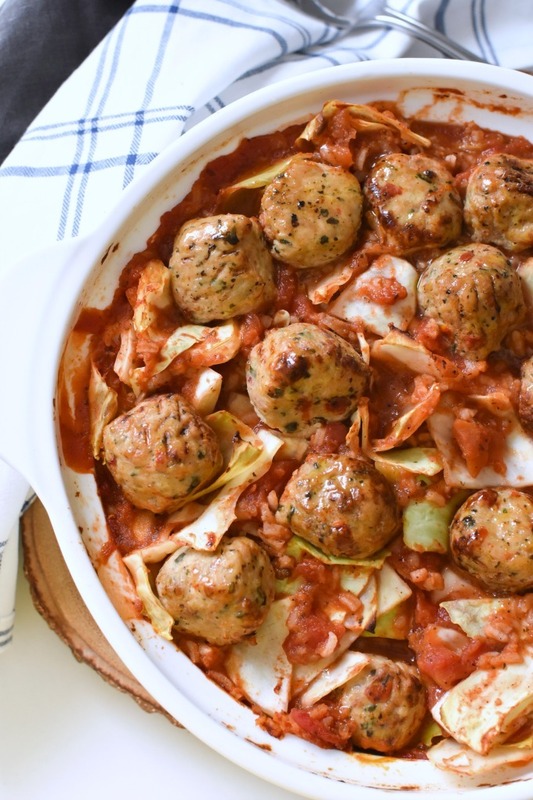 This one-dish recipe features tender, and flavorful cabbage, and rice baked with tomato sauce and spices finished off with tender baked chicken meatballs. 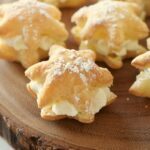 This tasty recipe post is sponsored. All views expressed are that of our own. 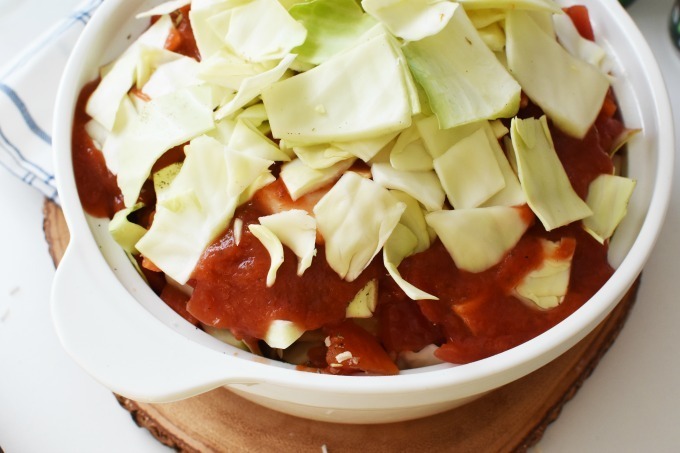 Are you looking for a casserole dish that is not loaded with tons of calories? Do you want a one-pot meal that is ready in 90 minutes? 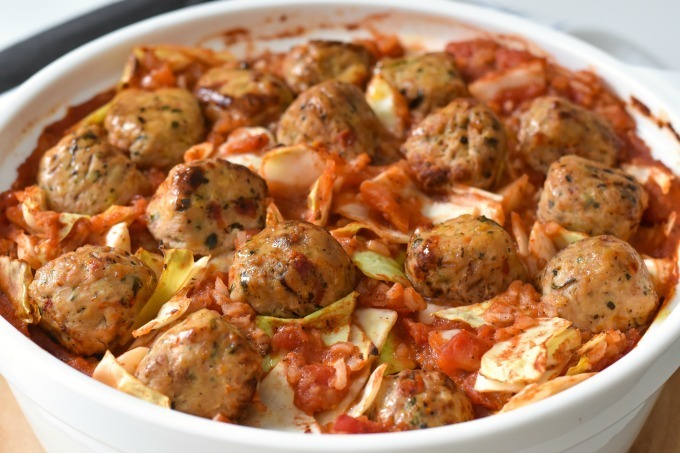 If so, this Easy Peasy Cabbage and Rice Casserole with Chicken Meatballs is for you! 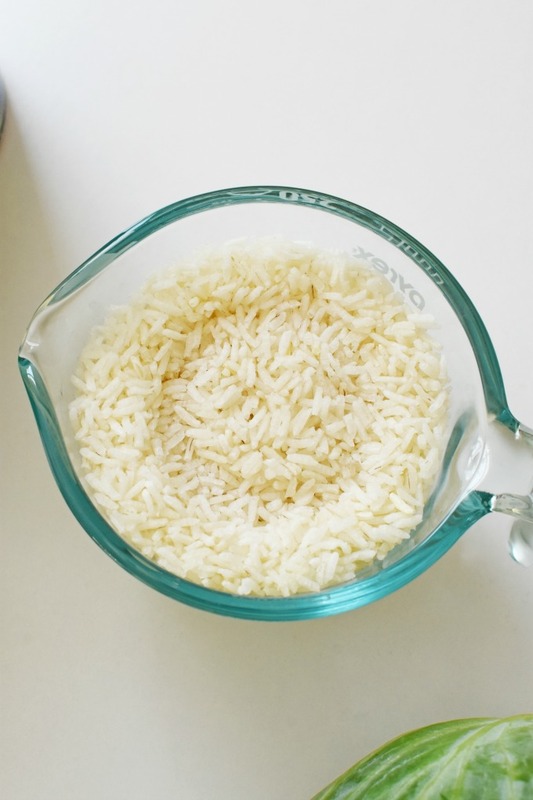 This cabbage and rice casserole is easy to make and has lots of flavors. It is a winter comfort meal that is not loaded with tons of cheese which is rare. I admit I do love cheese but I am trying to make grains, and veggies the stars of my recipes. With the start of the New Year, I am putting my best efforts forward to commit to eating cleaner, better for me foods. 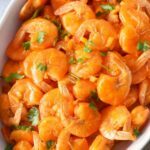 I am not looking for a crash diet but want to be able to prepare fairly easy meals for my family that have lots of flavor. 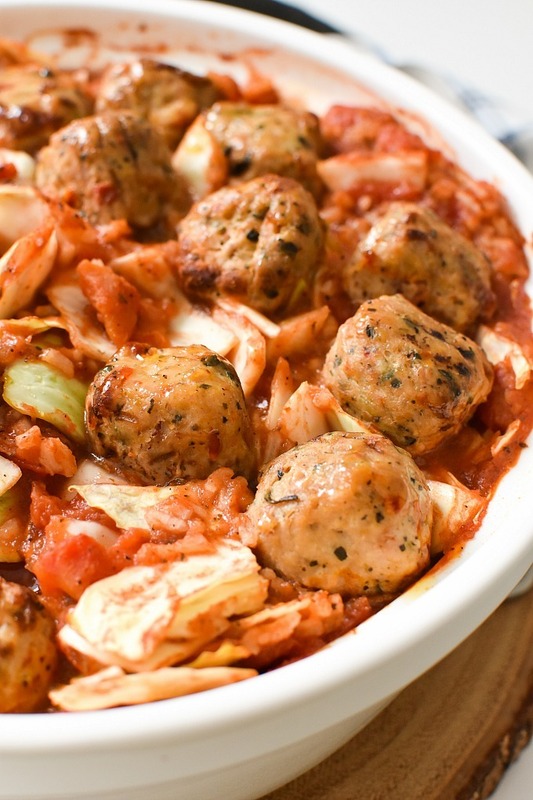 That is why this Easy Peasy Cabbage and Rice Casserole with Chicken Meatballs is such a win! I have always loved cabbage and rice since my Mother in Law used to make it religiously when Jared and I were younger. It was a simple, but tasty casserole that filled our bellies with wholesome goodness. I wanted to add some trimmer protein to my cabbage and rice casserole so what better way to dress it up than with some Al Fresco All Natural Chicken Meatballs? 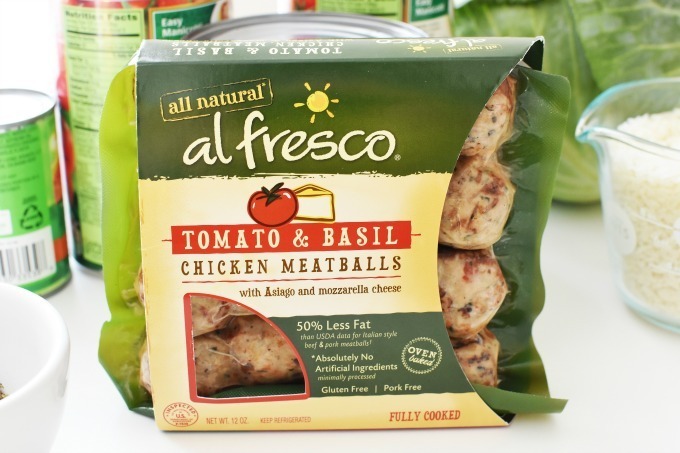 Made with lean, skinless chicken meat, Al Fresco Meatballs contain 50% less fat than beef & pork Italian meatballs. They are also pork-free, and gluten-free. The best part? They are available in Tomato & Basil & Teriyaki & Ginger. 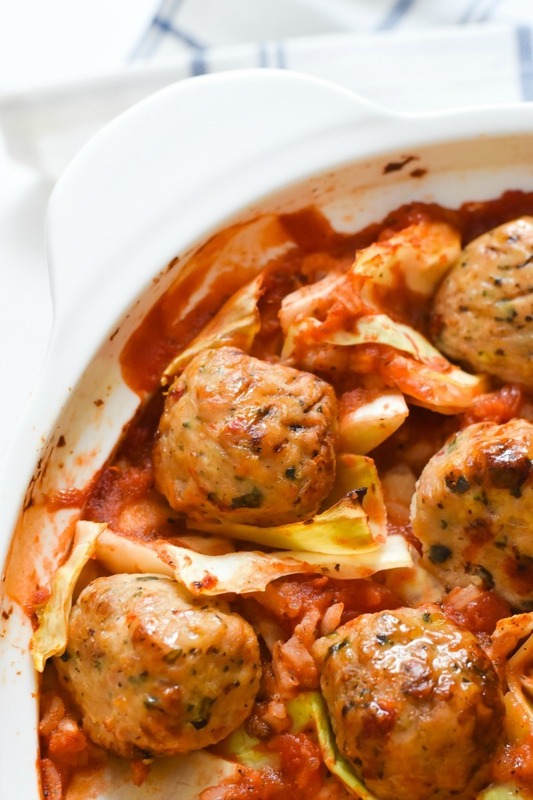 For this tomato-based cabbage dish, I found the Tomato & Basil flavored meatballs to be the perfect match. These meatballs are fully-cooked so I only added them to my casserole during the last 30 minutes. They are slightly sweet and provided the perfect amount of meat. I am not a fan of meat-heavy dishes so the balance between the tomato, cabbage, rice, and meatballs was perfect for us. 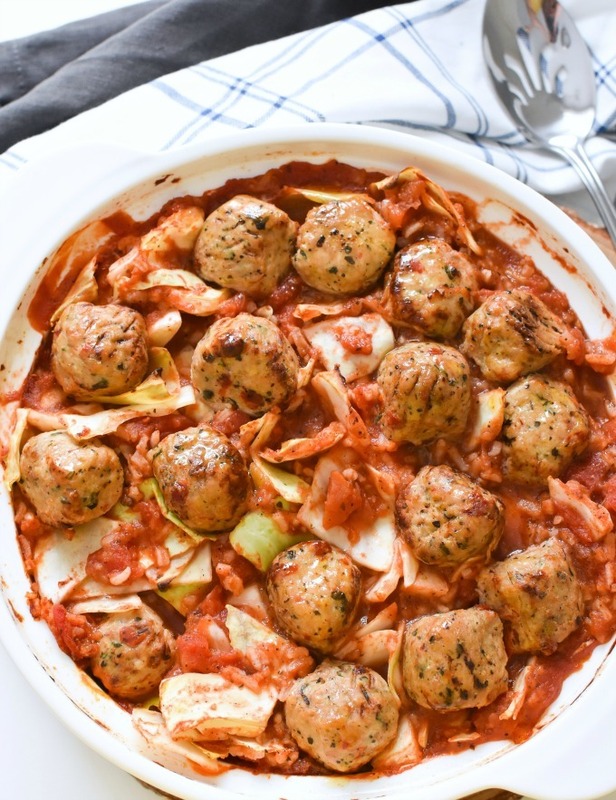 Get the printable version of this Easy Peasy Cabbage and Rice Casserole with Chicken Meatballs below! 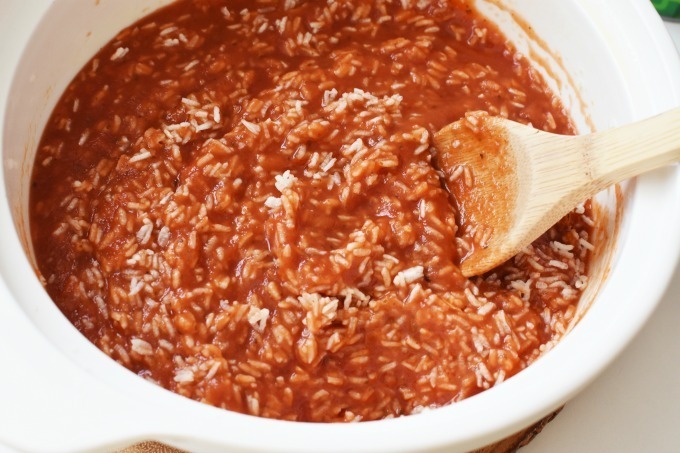 Add rice to the bottom and one can/jar pasta sauce. Top with cabbage, and then diced tomatoes. Finish off with additional can/jar of pasta sauce, and spices. Remove foil, stir well, and add pre-cooked meatballs to the top. 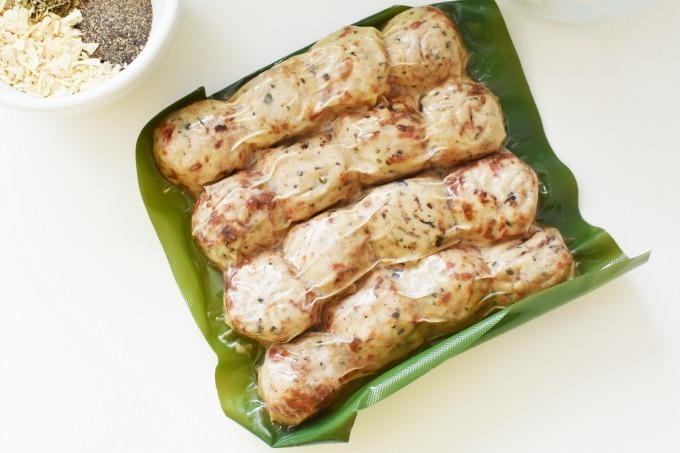 Learn more about Al Fresco All Natural Chicken products on their official site. 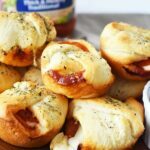 If you like this recipe which features Al Fresco All Natural Fully-Cooked Chicken Meatballs, check out these Cheesy Chicken Meatball Bombs. 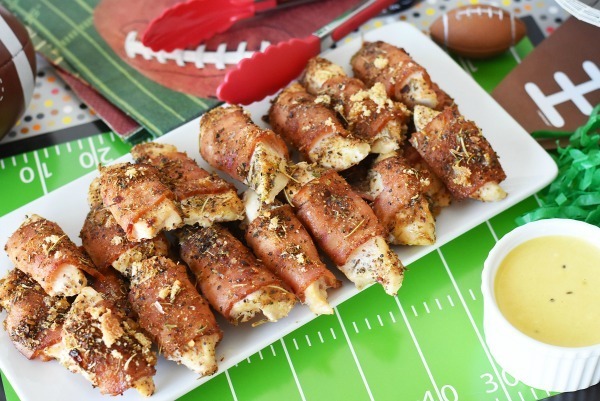 You might also like these Sweet & Spicy Bacon Chicken Dippers. 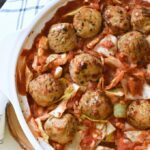 Easy Peasy Cabbage & Rice Casserole with Chicken Meatballs- A better for you spin on a classic. This one-dish recipe features tender, and flavorful cabbage, and rice baked with tomato sauce and spices finished off with tender baked chicken meatballs. Heat oven to 350 degreesSpray a casserole dish with non-stick spray.Add rice to the bottom and one can/jar pasta sauce.Top with cabbage, and then diced tomatoes.Finish off with additional can/jar of pasta sauce, and spices.Mix well.Bake for 1 whole hour at 350 with the dish covered in foilRemove foil, stir well, and add pre-cooked meatballs to the top.Bake for 30 minutes uncovered.Enjoy! My boys are eating me out of house and home & I find myself making casseroles more often because they go further. I will have to try this one. This looks so good! It kind of reminds me of a deconstructed stuffed bell pepper a little bit. I have to try this! Oh my goodness! This looks SOO GOOD! 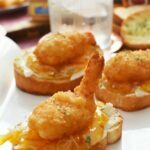 I think I need to make this for dinner! I was just looking at what to make for dinner! This meal is so well balanced I love one dish meals that have all the food groups. 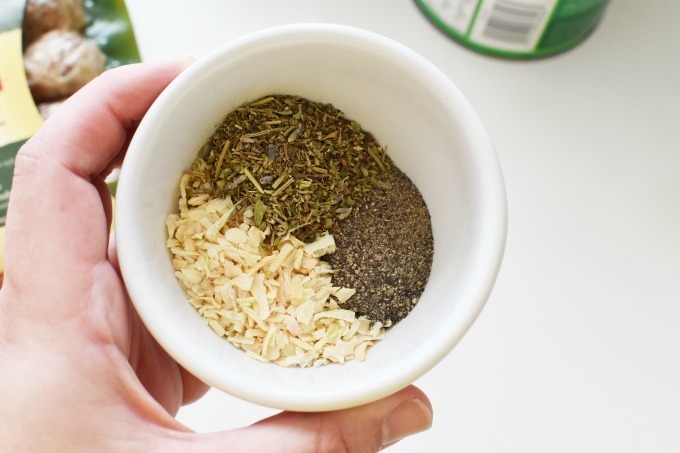 I will share this with all the people that would use this great recipe. This looks so delicious! It’s like an unstuffed cabbage roll. I’ll have to try this! What a delicious dinner idea! 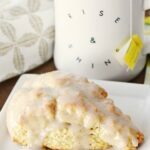 I never would have added cabbage to this- now I need to try it out! This looks AHHmazing!! I would love to try it this weekend! Wow, I pinned that right away. It reminds me of cabbage rolls without all the work. Oh my goodness this sounds delicious! I had no idea that you could buy meatball prepped like this in such yummy flavors. I’m always looking for easy weeknight dinners and this would be great. OH my! This looks DELICIOUS! I am saving this to my weekly meal plan for next week to try! Wow! This looks really good. I am going to have to make it soon. I love the combination of Chicken Meatballs and cabbage and rice. It just looks beautiful. This is the perfect comfort food dinner for a cold winter night. I love a great casserole recipe. Time to give this one a try. This seems like a nice recipe for the family. I like that is uses cabbage in a way that is new for me.